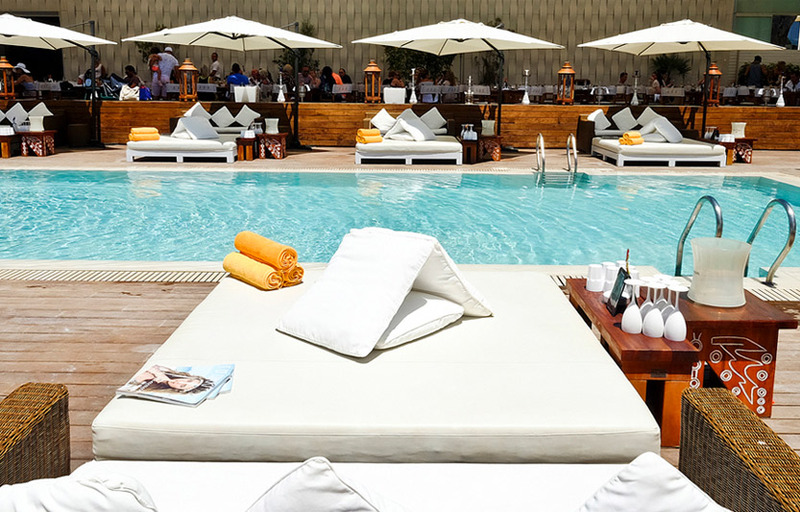 A well-known global luxury brand, Nikki Beach’s new Ibiza home does not disappoint those expecting stylish, contemporary surroundings and understated, cool luxury. The furnishings are sumptuous: expect chic drapery, bohemian teepees and plush, white sunbeds. Perfect for lounging in style and comfort whilst sipping champagne or a delicious cocktail, serenaded by the cool beats of Nikki Beach resident DJs or signature live music on an electric violin and saxophone. Their Ibiza 2018 events calendar is packed with top-class entertainment. Nikki Beach parties are famously glamorous events. Dates such as the annual White Party, the Yacht Party and the World Famous Amazing Sunday Champagne Party are set to add a distinct touch of cosmopolitan elegance to the Ibiza summer scene. In a nutshell, Nikki Beach offers impeccable VIP service, lavish comfort and sumptuous dining with excellent entertainment. Oozing with celebrities, the jet-set and the global glitterati, a truly fabulous experience awaits you at Nikki Beach, Ibiza. 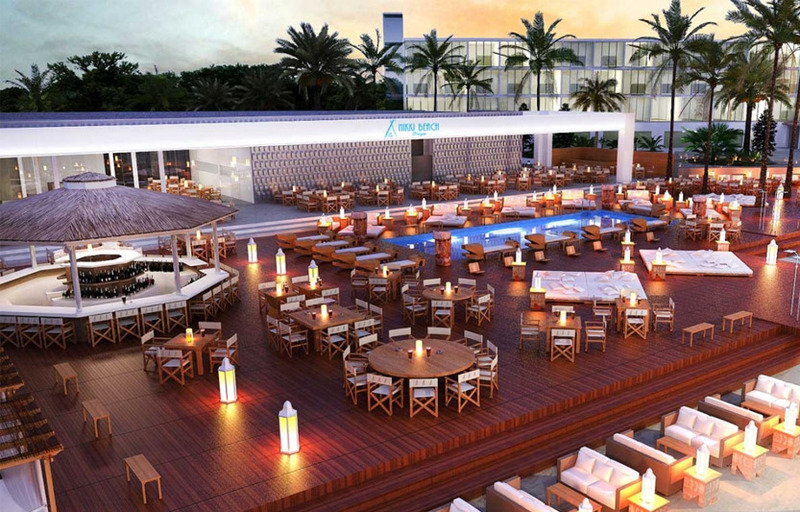 Nikki Beach Ibiza is available to be rented out for private parties. Expect expensive bottle service minimums. You can walk down to the beach from the club in just a few minutes. 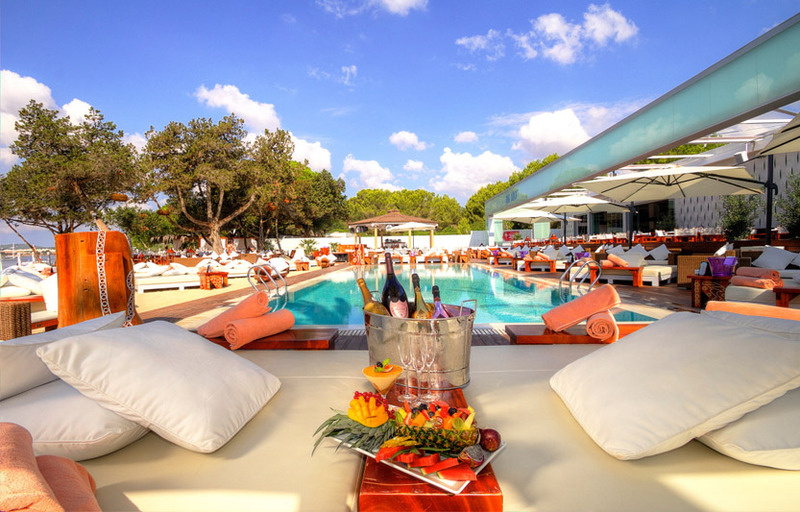 Nikki Beach Ibiza offers bottomless champagne and food packages. Where is Nikki Beach Ibiza located? Nikki Beach Ibiza is located at Avenida S’Argamassa, 153, 07840 Santa Eulària des Riu. How much is cover charge at Nikki Beach Ibiza? Nikki Beach Ibiza charges a cover at the doorman’s discretion. How long will I have to wait at Nikki Beach Ibiza? When is Nikki Beach Ibiza open? Nikki Beach Ibiza is open every day. 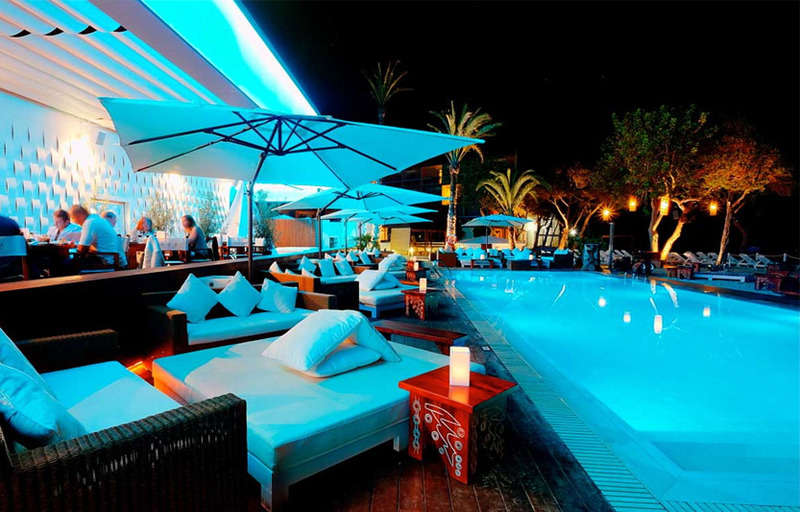 What are the best nights to go to Nikki Beach Ibiza? All nights are good. Weekends are the best, but you’re guaranteed to have a memorable time on any given day. What is the dress code at Nikki Beach Ibiza? Beach chic is expected at Nikki Beach. No gym wear is allowed. Come in your polished, clean beach attire. How much do drinks cost at Nikki Beach Ibiza? Bottomless champage and food ranges between €75-100, depending on the day. What kind of music do they play at Nikki Beach Ibiza? Nikki Beach Ibiza features mostly top 40, with a mix of EDM and hip hop. Where can I find an list of upcoming events / DJs at Nikki Beach Ibiza? You can download the Discotech app to see upcoming events, and book tables for Nikki Beach Ibiza.